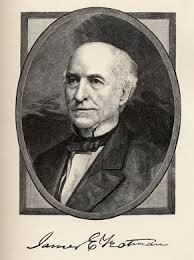 Philanthropist and patron of the fine arts, public libraries, and higher education, James Yeatman (1818-1901) served during the American Civil War as president of the Western Sanitary Commission. From headquarters in St Louis, Yeatman directed the establishment of field and steamboat ("floating”) hospitals to care for the war’s growing casualties, while raising funds, recruiting surgeons, and soliciting donations of medical supplies for distribution in the western military theatres. He maintained a nearly three-year correspondence with James Roosevelt, documenting the successes and challenges of his commission.